Calpol Soothe & Care Saline Nasal Spray help wash away built up mucus, helping them breathe more freely. And because it's a simple, natural, non-medicated treatment, you can use it right from birth. Calpol Soothe & Care Saline Nasal Spray is used for treating blocked, dry or irritated nasal passages caused by cold and flu. It works by rinsing and restoring moisture to the nasal passages. 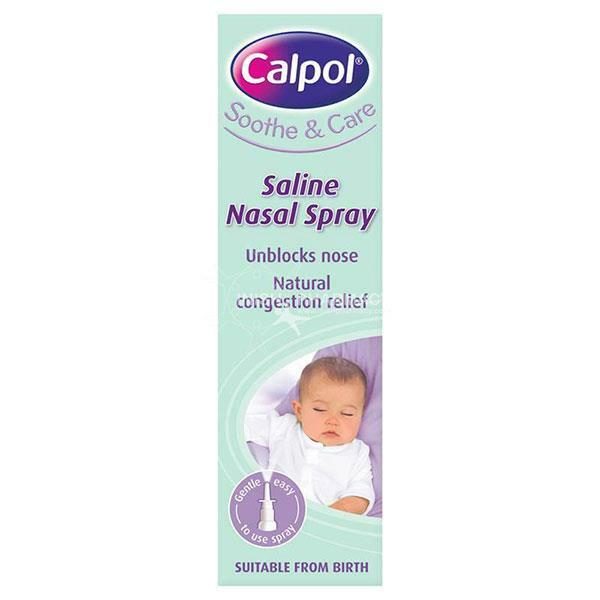 Calpol Soothe & Care Saline Nasal Spray is suitable for use from birth.